Last spring we decided that our greenhouse was a little drab. The plain white walls just didn't create the upbeat atmosphere we were hoping for. 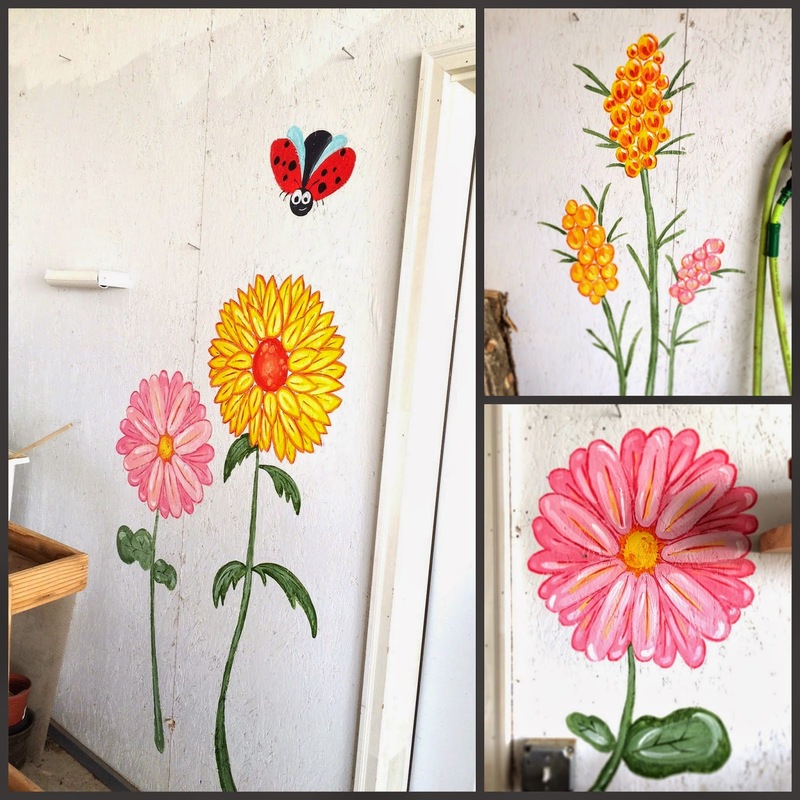 So, after months of thinking and worrying, I've finally started painting a spring-y mural. This is definitely the largest scale painting I've ever done, and it definitely has me out of my comfort zone! I am enjoying the challenge so far, though!